Lately, I have been listening to a couple of action-oriented soundtracks in search of some hidden gems with new musical ideas and awesome themes. Instead, I was heavily disappointed with mindless repetitive sound patterns and I have hardly heard any good melodies. I do not like to write reviews about not so interesting scores; I prefer to tell you about scores that I personally find worth listening to instead. Luckily, I remembered that Incredibles 2 was still playing in the cinemas. 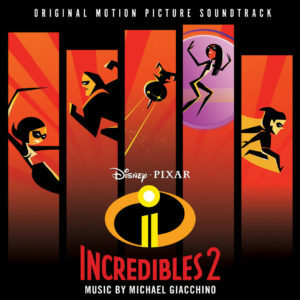 I love the score of the first Incredibles movie, composed by Michael Giacchino, and I was quite curious if he would be able to deliver for the second one as well. The first thing I noticed was that the whole score is in the same style as the one of first movie. It has a heavy focus on instruments that can be found in big band ensembles: trumpets, trombones and saxophones, with occasional support from a traditional symphonic orchestra. There is also a new theme that stands out, which is written for the Elastigirl character, and it can be heard very well in “Elastigirl is Back.” The theme is, of course, in big band style with screaming trumpets and a beautiful melody in the saxophones, which is taken over by the violins. 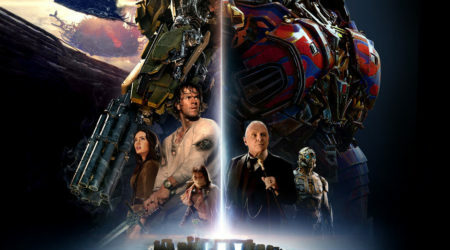 The whole movie is full of action sequences and what Giacchino has done to support these is to use many melodies, a steady pace in the percussion, and occasional trumpet screams where they are needed. Good examples of these tracks are “Train of Taut,” “A Bridge Too Parr” and “Looks Like I Picked the Wrong Week to Quit Oxygen,” in which you can hear a fantastic build-up to a big climax. It should not come as a surprise that The Incredibles Theme, from the first movie, can be heard on this score as well. In this movie it is used as a leitmotif when the whole (or almost the whole) family is together and using their powers to the fullest. It is always a treat to hear this theme: it is so alive with melodies, musical patterns and its fast pace. 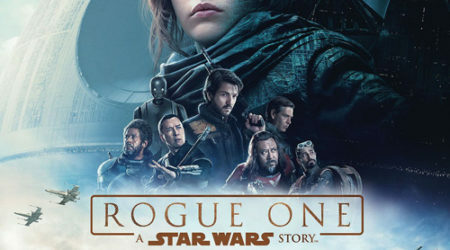 The antagonist does not really get a full theme on this score: Giacchino uses a four-note pattern instead, as can be heard, for example, in “Searching for a Screenslaver.” There is also room for slow and emotional pieces on this album. “A Matter of Perception” is a very tranquil piece in the middle of all the big band madness. There is also another emotional track called “Hero Worship” that is only one minute long but consists of beautiful melody lines. I would also like to mention “Diggin’ the New Digs,” which is just a joyful stand-alone track with happy melodies, played by the big band instruments. As with the first movie, the end credits music is amazing with “Incredits 2,” where the themes from the movie can be heard again. They are, however, alternative versions, which results in an amazing piece of ten minutes that makes you stay in your seat while the end titles flow over the screen. After the end credits the album is not over, as there is still a collection of themes that are written for Elastigirl, Frozone and Mr. Incredible. They are songs about the theme’s hero, and each also comes in an awesome a cappella version. The album ends gloriously with an a cappella version of “The Glory Days” from the first movie. When you have watched the movie, you know that it takes place in the 60’s, and the music adds to that aesthetic perfectly. The score is energetic and alive – especially with the screaming trumpets. When I am listening to it, I imagine the trumpet player having a smile on his face while he has to play furiously on his instrument. The score itself is not very innovative since it is a continuation of the music from the first movie, but with that said, it also introduces some new melodies using the same vibe of the predecessor, like the new Elastigirl theme. What I enjoy the most about this score, is that there is still room for melodies, amazing build-ups to climaxes and fantastic musical patterns in action sequences. I am convinced that without these, the movie would never be as joyful to watch as it is now. If Michael Giacchino is available, I would not mind a third The Incredibles movie with his music.